AND MORE - CALL TODAY! 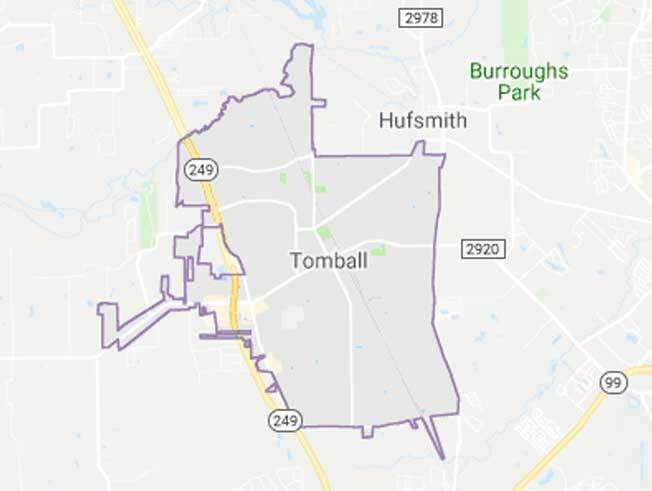 Originally named Peck, the city of Tomball was incorporated in 1933 and has been growing in population ever since. With that growth, businesses in the Tomball area have continued to expand and along with it their need for land clearing services. We're humbled that we've been asked to work with so many great businesses in the Tomball area and look forward to helping many more. Whether you're looking for residential or commercial land clearing we can help. Our team of land clearing and construction experts can handle any sized job need so call today to learn more. For decades Llewellyn’s Construction has been proud to be known as "the go-to" land clearing company in Tomball. Most of our customers are repeat customers and love our services so much that they refer us to friends looking for land clearing in Tomball as well. Our reputation speaks for itself and our positive online reviews can prove it. We take pride in our workmanship and will never settle for less than complete customer satisfaction. If you want the best let the professional land clearing team at Llewellyn's Construction help you clear a lot for your next business or residential development. Continue reading below to learn more about all the services we offer in Tomball. Our land construction and development services consist of much more than just land clearing in Tomball. Our team is experienced in several other popular services such as hydro-ax mulching, hunting land preparation, retention and detention pond construction and more. We've successfully completed hundreds of land development jobs for customers over the last 20 years and are confident you'll be just as happy with our work as they are. If you live in Tomball or the surrounding areas feel free to call us anytime with questions you may have about a potential land construction or development job. Below you'll find a complete list of the land services and dirt work that we provide. Llewellyn's Construction is proud to have served the community of Magnolia, TX and the surrounding areas for over 20 years! When you hire us for land clearing, excavation, pond and lake construction or any of our other professional construction services we assure you the same quality and commitment as we provide on every job we do.